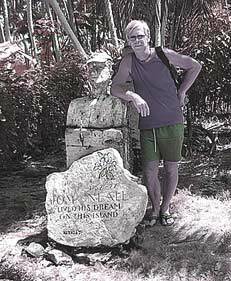 Tom Neal spent 17 years alone at Suwarrow atol. "They were very happy days. I was never lonely, though now and again I would walk along the reef wishing somebody could be with me - not because I wanted company but just because all this beauty seemed too perfect to keep to myself." From Tom Neals guest book. 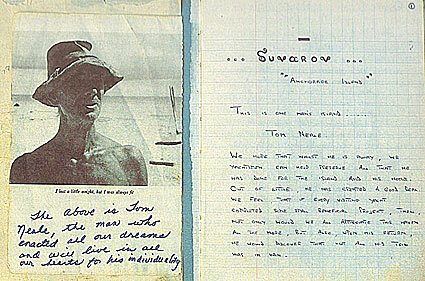 If you'd like to know more, pick up a copy of Tom's book "An Island to Oneself" (1966). For some additional info and photos from Scorpio's visit to Suwarrow in 2006, click HERE.